Includes images of men breaking stones by hand; women working in cotton mills; and children packing tea. This book depicts industries which have all but disappeared from these shores - mining, shipbuilding and fishing. It shows rural life before the impact of mechanisation, when ploughs were pulled by horses and the harvest was gathered by hand. The working day for the majority of us in 21st century England usually involves long hours spent in front of a computer screen, or working in service industries. 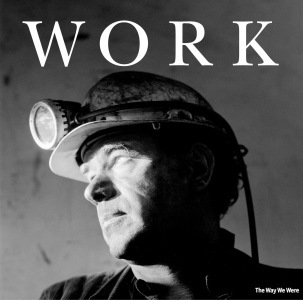 The photographs in this book evoke a time when work for the majority of people in this country meant long hours of hard manual labour, toiling in factories, or working the land. The images are of men breaking stones by hand in a quarry; women working in cotton mills; children packing tea. Industries which have all but disappeared from these shores – mining, shipbuilding and fishing are depicted. Many of the photographs show rural life before the impact of mechanisation – when ploughs were pulled by horses and the harvest was gathered by hand. There are also glimpses of trades and crafts now almost lost to us - coppicing, thatching and the art of the blacksmith. The book may make us feel lucky that we no longer have to toil in field and factory. It may also make us proud of the workers who literally built this nation.